While people like Walter Palmer view lions as a prize to be bought and slaughtered, most of us recognize Cecil and his friends for the loving, intelligent creatures they are. They have a tremendous capacity to learn, love and bond with not just each other, but other species as well. 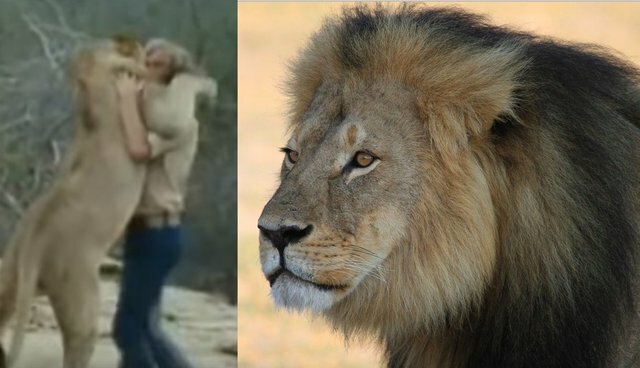 Take, for instance, the incredible story of Christian the lion that circulated around the web a few years ago. Christian was bought as a cub by two Australian men, John Rendall and Anthony Bourke. Christian lived with the pair in England and was raised in their basement. Like any domestic pet, he was taken outside to play by his two new parents and quickly became beloved by the locals. Thankfully, once Christian got bigger, his parents recognized he didn't belong in their care and made plans to have him set free in the wild. They thought the distance might destroy their bond, but when Rendall and Bourke traveled to Kenya a year after releasing Christian, they found that some love never fades. Upon recognizing his former friends, Christian was unable to contain his excitement and rushed over to embrace them. He also introduced them to his pride, which he was now leading. Afterward, the experience of Christian, Rendall and Bourke helped inspire two documentaries and a nonprofit, Born Free USA, to help advocate for the welfare of wild animals around the world. 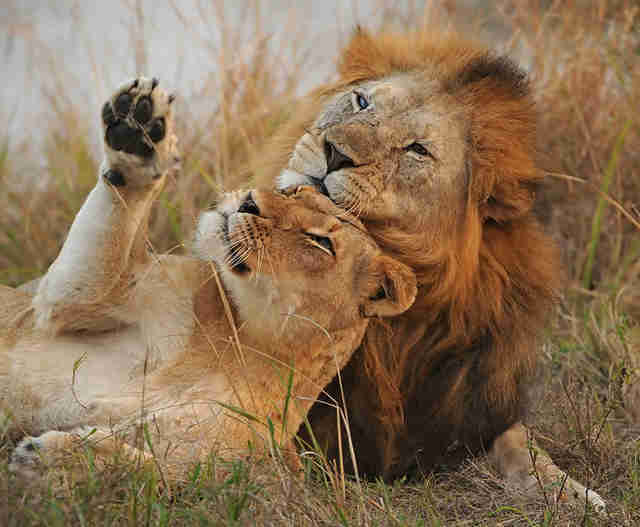 Clearly, lions are capable of developing deep bonds. They especially do so within their own prides. Lions live together in large packs made up of mostly females and a few males. The female lions all give birth at the same time and work together to nurture and raise their young. It takes a village, as they say. 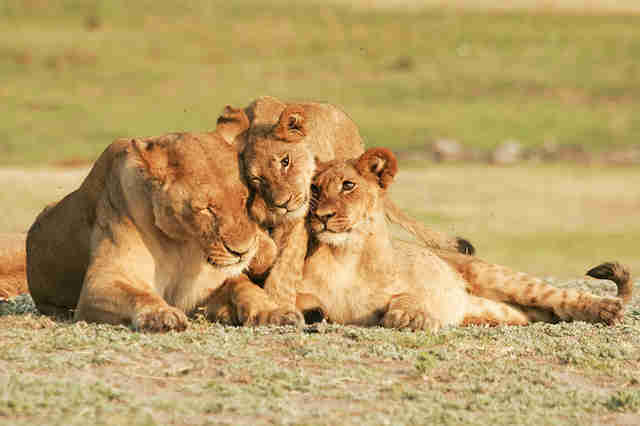 Lions are also renowned cuddle buddies. You'll often find them in the wild curling up together and sleeping in groups. They also engage in licking and head rubbing to forge friendships, while also keeping each other clean. These handsome creatures are also the only feline species to live in groups - as we all know, other cats prefer to maintain solitary lives. So, you see, when Walter Palmer decided to destroy the life of one lion, he also tore apart an entire pride – a family. Rendall recently spoke with LBC Radio about the tragedy involving Cecil, and summed up the problem perfectly. "Cecil ... was obviously a cracking chap, he produced wonderful cubs and looked after his pride very well," Rendall said. 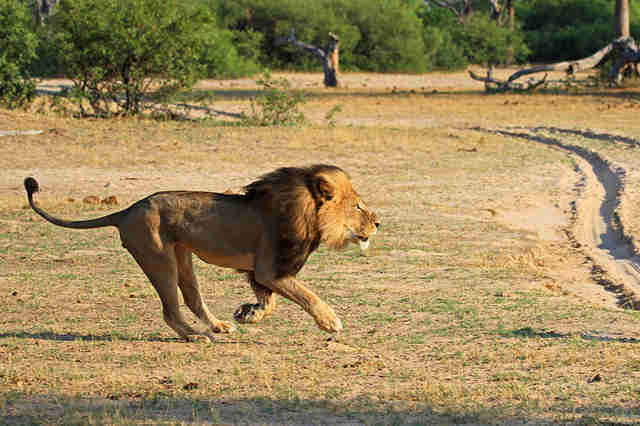 "There [are] only about 3,000 alpha males like Cecil left." He went on to explain to those who continue to want to hunt lions: "You cannot shoot this game anymore. There [are not] enough." Not enough, indeed. It's time to end the senseless killing of these lions and all other beautiful animals.